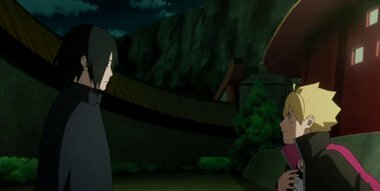 Boruto’s anger at his father for ruining his sister’s birthday drives him to head to Naruto to directly talk to him. On the way, he comes across Sasuke. Fuelled by his anger, Boruto attacks Sasuke, only to be subdued in an instant. Having experienced Sasuke’s strength firsthand, Boruto asks to be taken in as his student…….